Master of Arts in Administration of Justice and Security from University of Phoenix. Security technology expert focusing on devising, designing, and helping clients implement highly complex security technology projects and solutions. He held senior management positions in the security technology organizations for major national and international companies including CapitalOne, the Walt Disney Company, and Dell. He served in the U.S. Army’s 82nd Airborne Division and was deployed to support Desert Shield/Storm in the Middle East. 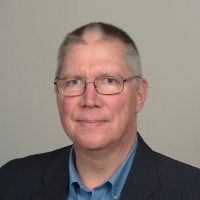 Chris Ames is a security technology expert focusingon devising, designing, and helping clients implement highly complex security technology projects and solutions. He held senior management positions in the security technology organizations for major national and international companies including CapitalOne, the Walt Disney Company, and Dell. Chris brings a wealth of experience in developing multi-year security technology roadmaps for Enterprise-wide integration of all security technology projects within companies by fully integrating systems in Information Technology, Global Security Operations and multiple business units. Successful implementation of his integration roadmaps for these companies and others, has yielded combined cost savings of tens of millions of dollars produced with combined outlays of only hundreds of thousands of dollars. Chris also has extensive experience in helping companies develop Global Security Operations Centers, designing security for Data Centers, and managing seamless security technology integration of companies acquired through mergers and acquisitions. Chris holds a Bachelor of Science in Management from University of Phoenix and a Master of Arts in Administration of Justice and Security from University of Phoenix. He served in the U.S. Army’s 82nd Airborne Division and was deployed to support Desert Shield/Storm in the Middle East.